The district wants to improve. But they need students, and state money, to really make a change. Tomorrow is count day for Michigan's public schools. The more students a school has in attendance on count day, the more money they get from the state. It's a make or break day for Detroit Public Schools. The district has spent months trying to recruit kids away from charter schools and private academies. School employees say they used the summer to go door-to-door, host BBQs, visit churches, and hold Saturday open houses, all to woo parents who’ve either pulled their kids out of DPS in the past, or whose kids are now old enough for school. It’s all part of what DPS hopes is a turnaround year for both the district, and their public image. They got a lot of press around 2009 when their student test scores were among the lowest in the nation. DPS says if they can bring in 5,000 more students than they had last year, then they won't have to lay off teachers or increase class sizes. The list of new improvements goes on. But much of it could depend on whether that 5,000 new student campaign was a success. If the district comes up short (which is what demographers predict) that optimistic budget will have to be cut. District spokesperson Steven Wasko says they’ll try and keep those cuts “away from the classroom,” but that district administrators don’t have a specific plan for what would have to go first. Every year, more kids leave the city of Detroit, according to Wasko, and more charter and private school options are popping up all the time. That’s largely because the public school system was seen as such a failure, that parents and families were desperate for alternative education. Wasko says those options keep growing: this year, he says 9 new charter schools are opening, and 11 other charters are adding grade levels or new campuses to their existing offerings. Still, on the eve of count day, Wasko says about 8,800 new students have enrolled in DPS this year. That leaves the big question unanswered: how many students have left? The results of count day aren’t immediately released. It could be weeks until final figures are published. The Detroit Public Schools is tightening up its district-wide attendance policy this school year. Superintendent of academics Karen Ridgeway says the idea is pretty simple. Ridgeway says interventions begin when a child has a third unexcused absence from school. 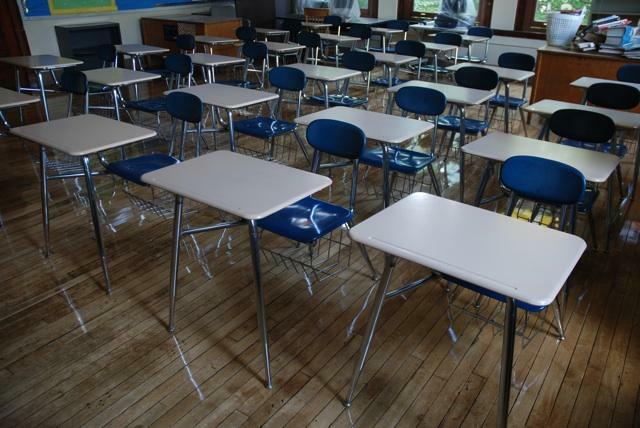 DETROIT (AP) — Detroit schools are stepping up efforts to improve attendance, including working with prosecutors on cases involving students with many unexcused absences. 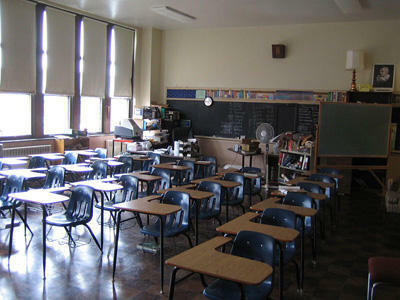 The Detroit Public Schools district announced the policy Friday. The district says that three times of arriving more than 15 minutes after the start of class will equal one unexcused absence. After three unexcused absences, a phone call will be made to the student's home and an attendance agent will be notified. With the sixth unexcused absence, the student will be referred to an attendance agent and intervention may include home visits by the state Department of Human Services. More than nine per school year will bring a truancy referral to Wayne County prosecutors. In Michigan, parents can face fines or jail time if children don't go to school. The clock’s running out for the Detroit Public School district. School starts Tuesday, and DPS officials went into the summer with the hefty goal of recruiting 5,000 new students. That's an awful lot of new kids, especially given that demographers predict just the opposite. They think DPS will lose students this year, like they have in the past. It's an important goal for DPS, because even if they have the same number of students as last year, they’ll have to cut $38 million from the budget.